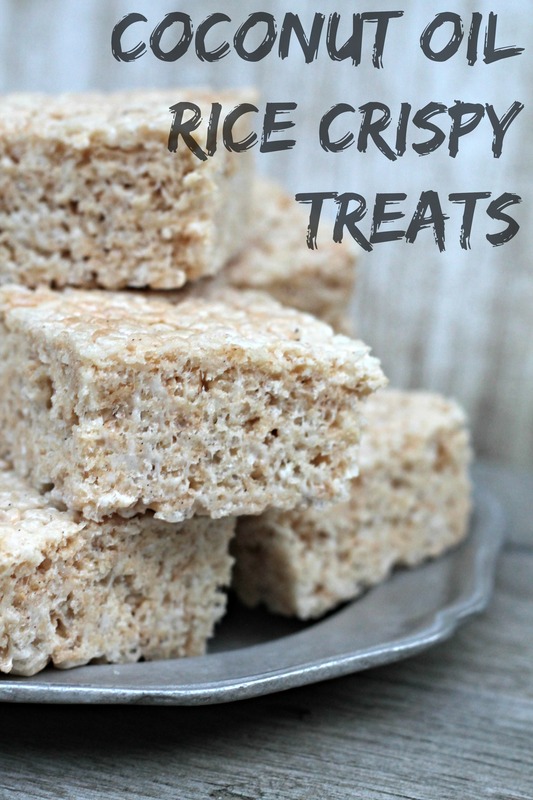 You’ve never had a good Rice Krispie Treat until you’ve had one made with coconut oil instead of the usual butter! I’m not one to hate on butter, but these Coconut Oil Rice Crispy Treats are mind blowing – that’s how good they are! 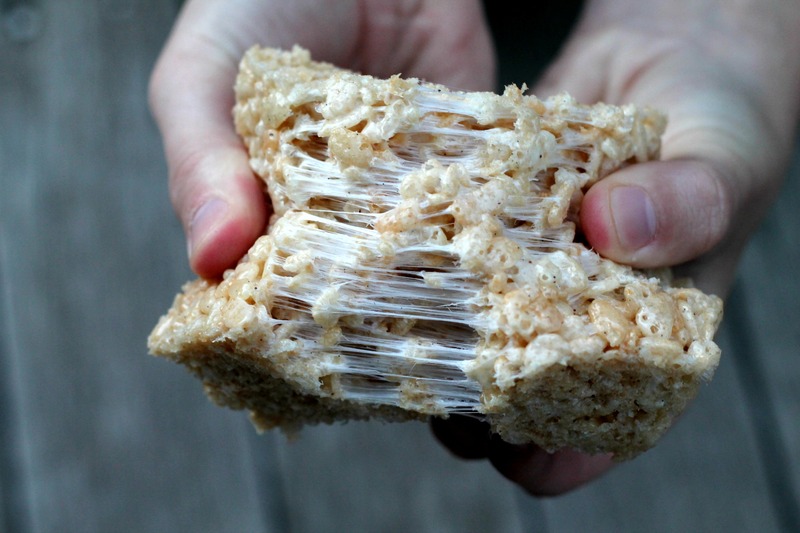 For weeks I had been mulling over making rice crispy treats, thinking and brainstorming “unique” flavor ideas and combinations. I wanted them to stand out in the sea of thousands of rice crispy recipes on Pinterest; I needed them to be delicious but also quick and easy. I was on a search of the perfect treat and nothing could get in my way. But then I was reminded of a saying, that sometimes the simplest ideas are the best. And it hit me – coconut oil. I have about four jars of the stuff in my pantry and one jar sitting on my dresser. I use the one on the dresser daily as my skin moisturizer (even going as far as using it on my face when my facial oil runs out!) Basically, coconut oil is present all over our house, so why not just make these rice crispy treats using coconut oil instead of the usual butter?! And my Coconut Oil Rice Crispy Treats were born! Depending on which brand of coconut oil you use, depends much on the flavor that these treats will have. I used Nutiva’s Organic Virgin Coconut Oil (this is not a sponsored post for Nutiva, I just truly love their oil and buy it all the time!) and the coconut flavor definitely shines through! It tastes like I added some coconut extract, but this oil does all the flavorful work for me without the need of any other additions except for my vanilla bean powder. You can see in the photo below the tiny black specks of vanilla and it pairs gorgeously with the delicate coconut oil. Vanilla powder is basically ground up vanilla beans, which I love using as extract but at times I need and crave the tiny specks and this powder does double duty – specks and flavor! You can get vanilla bean powder over at Beanilla. Now go and make these TODAY – you won’t regret it! These Coconut Oil Rice Krispie Treats are divine - the delicate coconut flavor entices everyone who takes one bite! Grease an 8x8 inch pan and set aside. In a large pot over medium heat, melt the coconut oil and add the marshmallows. Stir with a spatula while marshmallows melt and add the salt and vanilla bean powder. Once all the marshmallows are melted, add the crispy rice cereal and stir until combined. Dump into greased pan, flatten top, and let sit for two hours until firm. Cut into squares and store in an airtight container. Thanks for this great recipe. We have been making these for weeks. I need to be lactose free and these are wonderful. It’s nice to have a treat that everyone in my family can enjoy. The coconut flavor is very mild, by the way. Can you post the nutritional value for these? I’d like to see how it compares to traditional Krispie treats. I am really looking forward to making these for one if my dear friend’s bday party this evening. We are American expats living in Denmark, EU, and are always looking for a bit of ‘homey soul food’..yes, anything from stateside is soul food to us 😉 In any case, I recently discovered I have a severe sensitivity to dairy and I went looking for a rice crispy treat recipe I could enjoy too..AND WALA! You created a dairy free dream recipe! *Making as I speak* Cheers to creativity! I didn’t know vanilla bean powder was a thing! I MUST make these this weekend!! THIS IS SUCH A GREAT IDEA!! eeee must make!